Oracle CEO Safra Catz visited India in February this year, she announced a series of investments that Oracle was making in India. One such initiative is the Oracle Cloud Startup accelerator program. 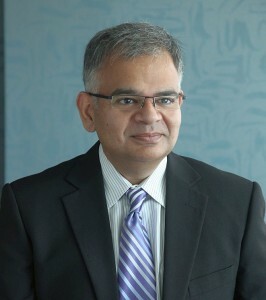 In an exclusive interview with DIGITAL CREED on the side lines of Oracle CloudWorld (April 9), Sanket Atal, Group Vice President, Product Development, Oracle India gives Brian Pereira the details of the just launched Oracle Cloud Startup accelerator program. He also offered his perspective on how cloud services have impacted the software development cycle. Q. Can you give us an overview of the developer ecosystem today and the challenges? Sanket: The developer ecosystem is quite spread out. You have developers in large structured companies and developers in startups and SMEs, where the approach is very aggressive. The startups use open source solutions to shorten their time to market. Unfortunately, what happens here is that things like product management, product strategy, and taking care of DevOps are sacrificed in the interest of time. But in the long run, these things can cause all kinds of harm, because you need to be able to scale, and you need to be able to handle all kinds of challenges. That’s why these companies (SMEs) need to have access to people who have been there and done that. Most companies are using tools and frameworks like JET or JIRA to track bugs, requirements etc. An end-to-end approach to better manage your development cycle is not thought of, in advance. And that’s why everyone is now thinking about DevOps. Q. What are the big shifts in the way software products are being developed today and what has been the impact of Cloud services on developers? Sanket: I will give you the example of our own company. We are an enterprise company and our typical on-premise release cycles for products (databases releases) used to be 12 to 18 months. But today, with our cloud-centric approach, the same things are being provided as services, and the turnaround time for a service release is 6 – 8 weeks. So that is a dramatic shift. It requires technology to enable you to have such rapid succession of releases, and it requires agility. Fundamentally, the company has to undergo a culture change. With on-premise, a company takes an Oracle product, buys hardware, hires a database administrator to get the solution up and running. But with the cloud it is about automating all of it, whether it is provisioning, scaling up etc. There are over 120,000 Oracle databases that exist in our cloud, and we have a handful of administrators. This can only be achieved through automation. The cloud provides tremendous scalability and elasticity. Q. Why should enterprises use Oracle solutions when equivalent open source solutions are available for free? Sanket: Well, the fact is Open Source is not free. You need to have a team of talented people who look for the latest versions of software, who look for bugs, vulnerabilities and then do the patching. Plus, you need to administer it. So you are paying all these people and your TCO is a decent amount. But the cloud changes everything. The cost increase isn’t significantly high because your TCO evens out. The real benefit (of cloud services) is that you have world-class experts who know how to administer those products. Q. Could you tell us more about your Cloud first, mobile first strategy? Sanket: All of our apps are available through our SaaS layer, and all of them have interfaces, so integration is quite easy. Our Mobile Cloud Service (MCS) provides connections to the various data sources. So if you have multiple applications that are providing various services and you want to extract certain pieces from each application, put them together, and provide it on the mobile – in the old days when you tried to do that with your on-premise setup, it was a tremendous task. You would hire a big team to do this and it would take 6 – 7 months to have a PoC ready. Today, because of the integrations that we provide and because of all these SaaS services, including MCS, process cloud service etc – you can do the same thing in a matter of days. And not just do the integrations – you can provide them on mobile. So your form factor issue also goes away. That’s a powerful offering. Q. What is the premise behind the Oracle Startup Cloud Accelerator program that you are launching in India? How will it help SMEs in India? Sanket: We are launching the Oracle Startup Cloud Accelerator program today (April 9) and SMEs will benefit immensely. They do not have to worry about capital expenditure because all solutions are now available on a cloud, as services. Also, their time to market will be greatly reduced because they do not have to spend time to set up infrastructure. The startup movement in India has gained tremendous momentum. In supporting the Startup India movement our accelerator program offers free access to all layers of the Oracle Cloud. On our website (www.oracle.com/in/startup) you will see that there is a board of advisors and technical mentors – and the startups can access this board. Some of them are investors, so this kind of access is very valuable. And of course, there are Oracle experts who will mentor the startups. We are also proving a (co-working) facility for six months. The Oracle Startup Cloud Accelerator program will eventually be available in nine Indian cities. The first centre is being inaugurated in Bangalore tomorrow (April 10). Twice a year, we will select batches of five to six startups for this program. That’s two batches a year from each center. There is no set criteria for startups in terms of market segments or technology usage. We are looking for companies that are interesting and that would really benefit from by being part of the accelerator program. This program is open to all startups, irrespective of vertical. Our goal is to immerse these startups in an environment which is conducive to great use of technology, great mentoring, and to boost their chances of succeeding. Cost is often the inhibitor for using state-of-the-art technology and this is our way of saying: “Forget about the cost part – here is the technology, use it for the betterment of your company”. It’s not free indefinitely, but only during the tenure of the program (six months). But if we find that a startup is using it effectively, we could extend the free offer upto three years. We are investing millions (of dollars) in this accelerator program. I can’t share the actual number.